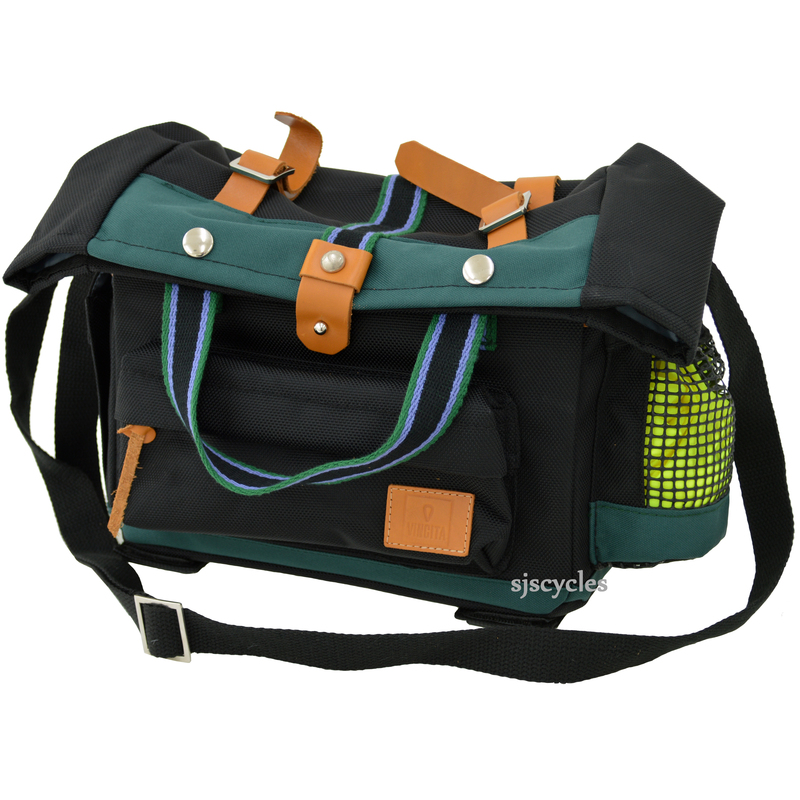 Give your Brompton bike a unique look with this bag. It's compact design can hold up to 7L making it ideal for a casual ride in the city. The plate is compatible with the Brompton front carrier block. When carrying it, the plate can be concealed or even completely removed to give you more comfort. The materials are high quality water-resistant fabric and vegetable tanned leather. Rain cover is included to keep everything safe and dry during a rainy ride.